Read on to learn how a dehumidifier can help prevent excess moisture in the air from turning into a mold and mildew problem—and how you can select the best possible unit for your space. Air quality can suffer in myriad ways. Excess humidity ranks among the least desirable effects. Left unchecked, moisture buildup can lead to a number of problems within the home, including but not limited to musty odors, warped wood, peeling paint and mold. If at any point during the year a homeowner becomes concerned about the high humidity level inside, what can he do to alter the status quo? One word: dehumidifier. Dehumidifiers range in size from portable, one-room units to whole-house solutions that tie into the home’s HVAC system. Though variations exist both in product design and quality, most dehumidifiers work the same way. You configured the preferred humidity level, and when humidistat registers a level in excess of your preference, the dehumidifier clicks on. Driven by a fan, moist air moves through the appliance, where it passes over a cold metal coil. At that point, the moisture condenses into water, which gets stored internally or drained away. The filtered air then passes over a warm coil before returning to the home’s conditioned space. • Determine the scope of the problem. Is the whole house overly humid, or is the issue confined to one area (e.g., the basement)? The scope of the problem directly determines the nature of the solution. Larger whole-house dehumidifiers tie into the HVAC system and include a drainpipe that empties directly into a slop sink, sump pump, or to the outdoors. These types of dehumidifiers aren’t cheap and typically involve professional installation. Portable dehumidifiers, meanwhile, are much less expensive and much more consumer-friendly. They plug right into the wall and operate via built-in interfaces that are easy to understand and configure. Some portable dehumidifiers are equipped with hoses that can drain or pump out collected water automatically; others feature a bucket that must be emptied out on a regular basis. • Calculate the area’s square footage. Even dehumidifiers of the same basic design can differ in capacity. Select one that can hold ten pints of water for a 500-square-foot space; add four pints of capacity for every additional 500 square feet. So if you wish to dehumidify a 1,000-square-foot basement, you’d need a unit with a 14-pint capacity. 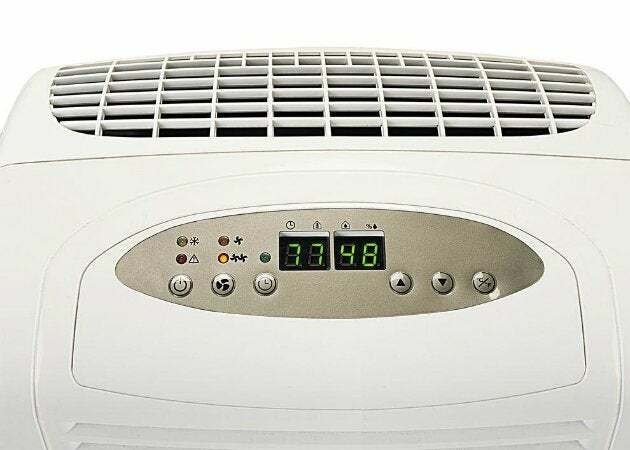 For a very damp space, choose a dehumidifier that holds 12 pints of water for a 500-square-foot space, adding five pints for every additional 500 square feet. • Don’t forget about energy efficiency. 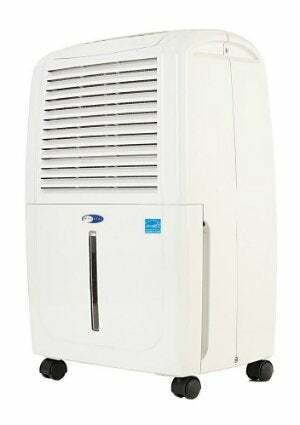 Energy Star-certified dehumidifiers use about 15 percent less energy than conventional units. In the long run, that means a savings of approximately $175 over the life of the dehumidifier, not to mention avoiding roughly 2,800 pounds’ worth of greenhouse gas emissions. Dehumidifiers can provide a continuous flow of fresh, dry air in the home, resulting in an energy-efficient solution that improves indoor air quality and keeps mold growth at bay all season long.